Instead of generating anhydrous ammonia as a liquid using either pressure or cryogenic freezing, I would like to avoid the hassle entirely by using anhydrous ammonia generated as a gas. 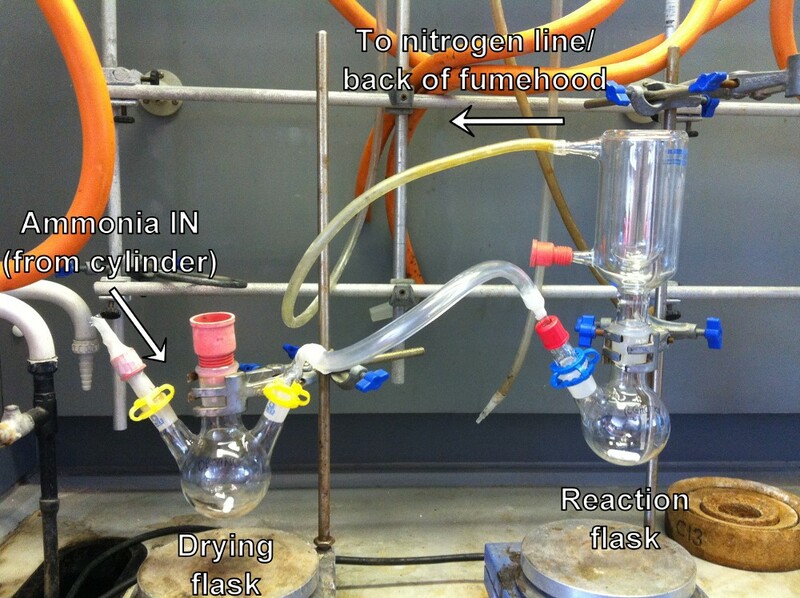 Is there a way to use a gaseous form of ammonia for the birch reduction that doesn't generate sodium amide? I'm a hobbyist chemist so I don't have access to a ton of glassware or specialty equipment. And before someone asks me if I'm making meth- No. I like my freedom and this is just a hobby of mine. Mostly why I'm trying the birch is because I have heard the color of the solvated electron is quite beautiful. Chemistry is a wonderful science and I wish simply showing an interest in it wasn't considered so unusual! That said, the question is an interesting one in the context of laboratory chemistry. Is there a way to use a gaseous form of ammonia for the birch reduction that doesn't generate sodium amide? Practically, you're not actually making liquid ammonia and then transferring it to your reaction, but rather your passing it over your reaction flask which is fitted with a condenser which will cause in-situ liquefaction of the gaseous ammonia. 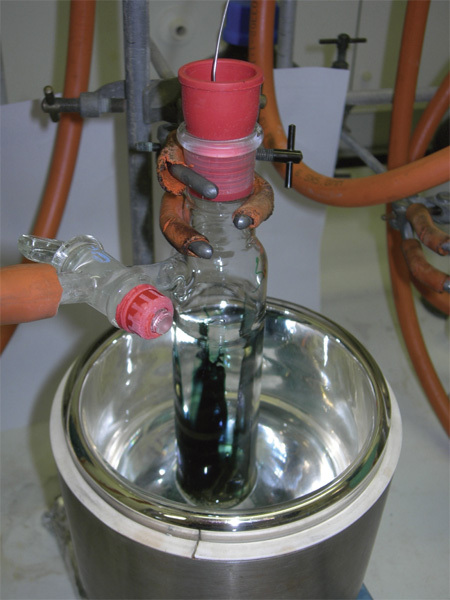 Even a simple dry ice condenser is sufficient to do this, and the formation of the active reagent is easily observed by the appearance of the characteristic blue/green colour. Any gas not liquified is then passed to the back of the fume cupboard, or, ideally, bubbled through a solution of something to neutralise it and hence stop it being released. Not the answer you're looking for? Browse other questions tagged organic-chemistry amines or ask your own question. Can decarboxylation be done under carbon dioxide? Why can't terminal alkynes take part in Birch reduction?